There are numerous types of loans available in India. However, most people choose personal loan over other types in spite of having a variety of assets, which they can mortgage to avail loans at a lower interest rate. One of the reasons behind this scenario is the lack of knowledge about different types of loans available in India. By definition, a loan is specified amount of money that you can borrow from the lender (usually banks) with an assurance of returning it back within the agreed period. The lender on different types of loans levies a specified rate of interest. The borrower repays the borrowed amount along with the interest in instalments as per the agreement between the two parties. Contrasting to the general myth, applying for a loan is not a complicated process. You should be particularly careful about the fact that you provide banks with all the genuine documents. 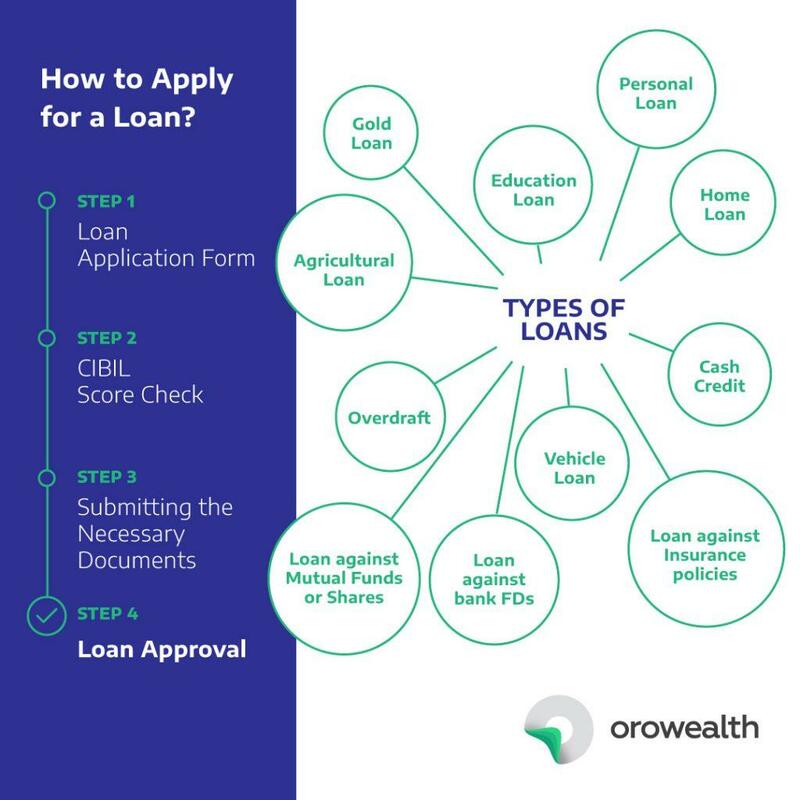 In India, different types of loans need a different set of documents. Loan Application Form: You need to fill up the application form for the type of loan you need from the bank. You need to make sure that all the information written on the form is genuine and correct. CIBIL Score Check: The bank then checks up your CIBIL to count the score of your credit cards. CIBIL tracks and maintains the records about the money/loans you need to repay apart from the current loan you are trying to apply. If you have a high credit score, your loan application is easily approved. Submitting the Necessary Documents: The borrower needs to produce a series of documents to supplement their loan application form. Documents such as proof of identity, income proof, and other certificates need to be submitted along with the application form. Loan Approval: Once you submit the application form along with all the necessary documents, the bank verifies all the details you have provided. Once the verification is complete and the results are satisfactory the bank approves your loan application. Personal loans are provided to meet the personal needs of the borrower. You can use the money from this type of loan in any way you see fit. You can pay off your previous debts, buy some expensive accessories for yourself, and plan a great trip with your family. It’s up to you how to use the money. The interest rates for this type of loan are on the higher side compared to the other types of loans. Banks also offer education loans to the ones who need it. These loans offer a better support in terms of study opportunities to students are financially weak. Students looking to pursue higher education can avail education loan from any bank in India. Once they secure a job, they need to repay the money from their payment. Among all the types of loans available in India, the fastest and easiest one to get is the gold loan. This type of loan was very popular back in the days when the rates of gold were rising exponentially. Gold companies are facing losses due to falling rates of gold in the recent times. Vehicle loans help you fulfil your dream of owning a car or bike. Almost all banks provide this type of loan. It a secured loan means if the borrower doesn’t pay the instalments in time, the bank has the right to take back the vehicle. There are multiple loan schemes by banks to assist farmers and their needs. Such loans have very low interest rates and help farmers to buy seeds, equipment for farming, tractors, insecticides etc. to generate a better yield. The repayment of the loan can be made after the yielding and selling of crops. Overdraft is a process of requesting loans from banks. It means that the customers can withdraw more money than they have deposited in their accounts. If you have an insurance policy, you can apply for a loan against it. Only those insurance policies that are aged over 3 years are eligible for such loans. The insurer can themselves offer a loan amount on your insurance policy. Approaching the bank for the same is optional. You need to submit all the documents related to the insurance policy to the bank. Cash credit is a bank procedure of paying a customer in advance. This process permits the customer to borrow a certain amount from the bank. The customer provides a few securities to the bank in exchange for cash credit. The customer can renew this process each year. If you have a fixed deposit in with a bank, you can apply for a loan against the same. If the FD is around or more INR 100,000, you can apply for a loan of INR 80,000. The rate of interest levied on such loan is comparatively higher than that paid by the bank on your FD. Generally, people offer their mutual fund investment or shares as a collateral for their loan application. The banks give out loans of an amount lesser than the total valuation of the shares or mutual fund investment. 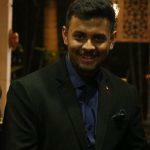 The amount is lesser because the bank can then charge rate of interest if the borrower is unable to repay the amount. 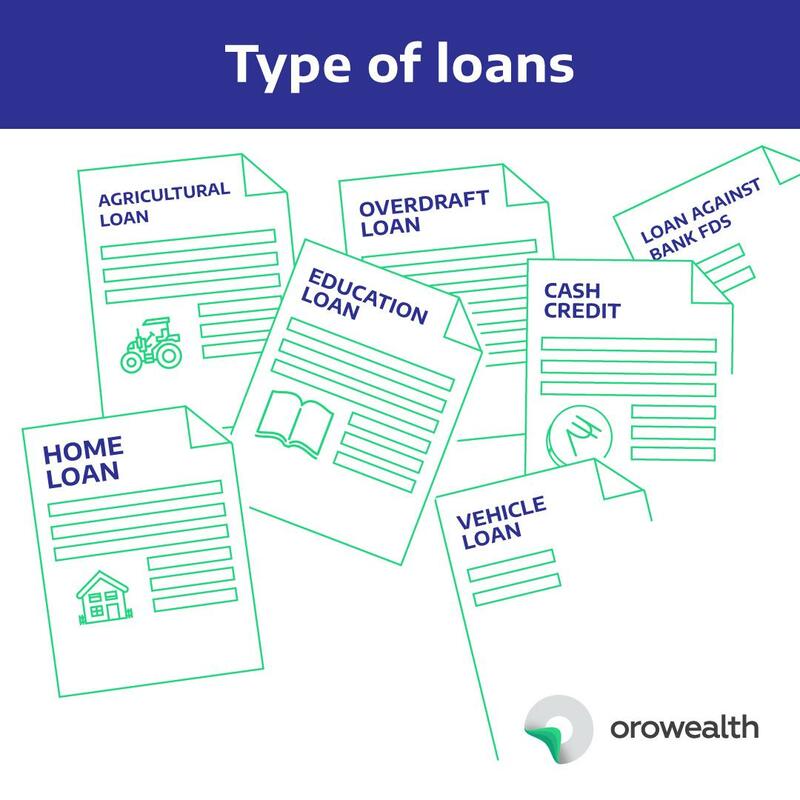 Different Types Of Loans In India. Prabhudas Lilladher registered his company in 1944 – PL India is now India’s leading financial services provider an official distributor of HDFC Home Loan, loan against property, loan against shares and more.